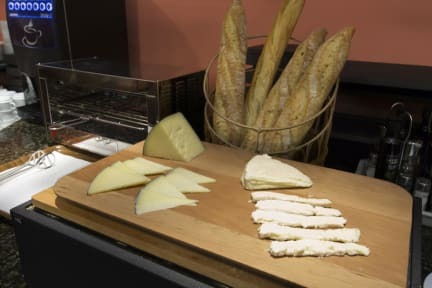 Hotel Ronda Lesseps i Barcelona, Spania: Bestill nå! Our hotel opened on 2005, that is why you will be able to enjoy noiseless, modern, clean rooms at very competitive prices. At our hotel we focus all our efforts on offering the best comfort and functionality at the best prices. 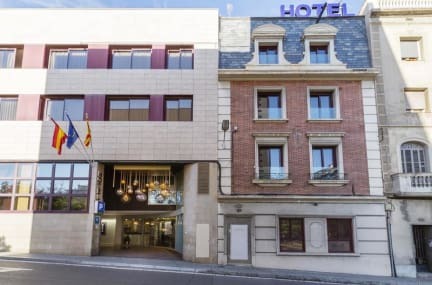 Come and discover all the services and facilities that Hotel Ronda Lesseps has ready for you so that you don't miss anything and are able to visit Barcelona with maximum comfort. Ask for everything you may need at front desk, and we will attend you personally with the best service and information. We are located in one of the best areas of the city, near to some of the finest attractions such as El Parc del Turó del Putxet, Casa Vicens Gaudí, Casa Milà and La Sagrada Familia, amongst other important spots of our city. The hotel has a lodging of 59 rooms, all of them equipped to grant the best comfort and wellness during your whole stay with us. In addition, we have several common areas where the geusts and travellers can relax and enjoy of Barcelona and our facilities. Taxes not included. 1.21 € per person and per night. Breakfast not included - 12.00 EUR per person per day.